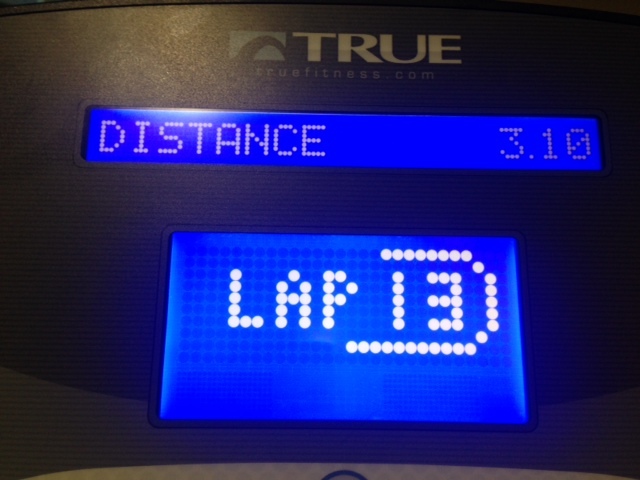 Last night was an easy 5K on the treadmill while watching the HEAT game. Got in the 5K I missed on Sunday! After Google’ing around for the 5K times of professional athletes, I came across an interesting Instagram vid of Ochocinco. You can think what you want about Ocho (aka Chad Johnson), former NFL player, but there is no denying that the man is FAST. Just in case you’re wondering 20mph is 2:59 minutes per mile pace. Obviously Chad’s only doing it for 5 seconds, but I still think that’s pretty impressive! My speedwork feels a little bit embarrassed by his speedwork! And while we’re at talking about fast humans, Usain Bolt once reached a top speed of 27.49 miles per hour! 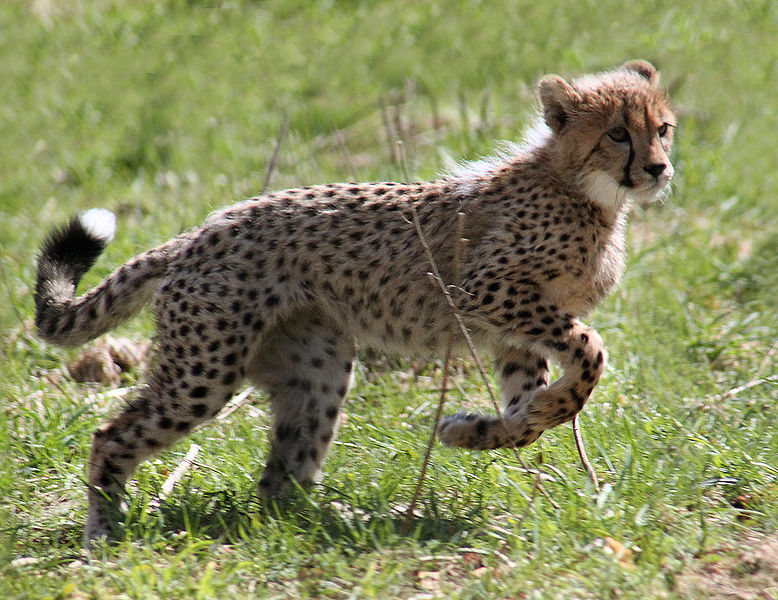 Of course that’s nothing compared to cheetahs — they can accelerate to 60MPH in under 30 seconds and can reach max speeds of 70-75mph! Cheetah kitten … looks just like Cecil. Just this once you’ll have to excuse me for using Wikipedia as a source. And I just have to add #11: the kangaroo can reach a max hopping speed of 44mph! Here’s a cute video of a small kangaroo hopping around some other small animals. He’s just hopping around playfully, but it still looks kind of fast! If you’re looking for an excellent read about how you can increase your speed, check out THIS POST from Cori @ She’s Going the Distance. She shares how she PR’d in 9 half marathons in a row (she went from a 2:24 to a 1:39). Did you know the wildebeast could run so fast? I was shocked! – I didn’t realize any species of bat could fly so fast either. Previous Post A Solid Weekend of Running & Fun! Next Post Runner Crisis Averted! Ooh thanks for the beating Lebron support! Something I didn’t take into consideration… his legs are prob twice as long as mine!!! That kangaroo is soooo cute and he is pretty fast! I could envision him building up a ton of speed! Your sub 6 minute mile in 90 degree heat gives me complete confidence in you! The ‘roo is too cute, how do they hop so fast?! Hi Cori. Just wanted to say that I loved your post, thanks! But for some reason this computer I’m using (a Chinese one that blocks some sites) was giving me grief re: posting a comment on your site. SO, I’m telling you indirectly through here, haha… Thanks, was a very helpful post, and I’m really hopeful that I may be able to PR at my next half after all. Cheers! That speed work by Chad is nuts. Makes me think I need to man up and step up my speed work. Great info on the animals, crazy how fast some of them are. I read Chris post it was great, it taught me that we can never stop learning in this sport. Haha well if I am being completely honest I wrote this post before the Heat game ended so I didn’t yet know if they would win or not … although I was like 99.9% sure they would! Chad is ridiculous. Watching his legs go that fast makes me so nervous for him! I can’t even imagine attempting to go that fast on the treadmill – I would be totally freaked out that I would go sailing off the back end!! Fun to see the animals listed – crazy about the kangaroo! I know! When Chad let’s go of the handles on the treadmill I actually held my breath! His legs are moving so fast! Chad is crazy! I actually went to college with him and took a class with him at Oregon State (where he played football). I had no idea he was capable of reaching those kind of speeds. That video is awesome! With legs and a body like that, it’s not surprising. Cheetahs are amazing to watch in the wild. When we were in Africa a few months ago, we were able to watch a cheetah stalk and kill an antelope. They run effortlessly. Your experience in Africa must have been amazing. The Big 5 Marathon in S. Africa is on my bucket list — the starting time for the marathon depends on where the big 5 game are in the morning! Chad is ridiculous – he posted his whole workout using Instagram vids yesterday. The man is a machine! So cool that you got to take a class with him. He seems like a funny guy! Why is that cheetah so cute?! I can’t believe how fast Chad can run! Most folks speed work in comparison will seem lame now lol I wish I could charge as effortless as the animals you listed. My guess is Cecil thinks he’s a Cheetah 🙂 Cats are funny mine will charge up and down the stairs like crazy for a few minutes then go crash for 6 hours.